A very unique aroma which recalls smokey cheese. smokey touch. It has a lovely taste and is perfect to enrich hot dishes and salads, eat it plain or as garnishment. It’s allergen free so it does not contain any animal derived ingredients such as milk or soy; it has no gluten and it’s OGM free. The core of this product is the 100% Italian germinated whole rice. Its straw-coloured look is given by the turmeric, an ancient spice used in many Mediterranean and Asiatic cultures with its characteristic colour. Turmeric is a beneficial spice and it is recognized for having some anti-inflammatory and anti oxidant properties, not by chance is know also as the “lucky spice”. Vegan Mozzarella Smoked flavour is a 100% vegetal fresh pasteurised vegan alternative to cheese without preservatives. All its main ingredients are natural and certified by the European Agriculture Agreement for not containing a single synthetic compound in it. Flavour used are required to be 100% vegetarian so vegan friendly. Find Vegan Mozzarella Smoked flavour in the fridge area in the supermarkets or groceries, especially in the vegan friendly products shelves. Everybody! 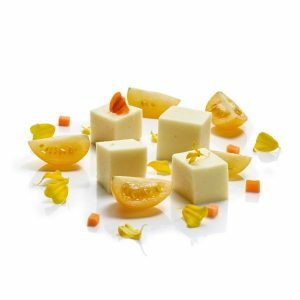 Vegan Mozzarella Smoked flavour is perfect for adults and children, for people intolerant to milk or lactose, gluten or soy. As for all of our products it is produced in plants dedicated to vegetal production only, in order to minimize the risk of allergens contamination. 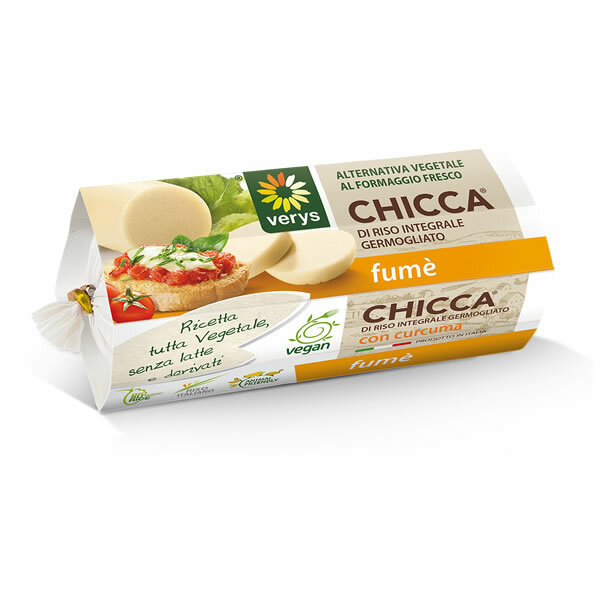 Vegan Mozzarella Smoked flavour is characterized by its unique smokey taste, ideal to enrich hot dishes or as a quick meal on the go. Try it cold or hot, it will melt deliciously, a property which will make your dishes full of flavour. You may like it also instead of the cheese in the world famous stuffed polenta dish. Vegan Mozzarella Smoked flavour is a preferred ingredient for sandwiches, bruschettas, pizza, salads, timbals and salty cakes. Ideal also for snack topping or as aperitif complement. As most of fresh ingredients, once opened it should be consumed within 3/4 days.